Little does Dwannis Muck-Mug know, but the piece of the cauldron that the wizard Malik Vloren shattered is in fact part of one of the deadliest artifacts ever created. It is part of the dreaded Black Cauldron. As seen in Lloyd Alexander's The Chronicles of Prydain, the Black Cauldron is a powerful device that amplifies necromantic spells cast around it. The most important thing about the Cauldron though, is that it increases the amount of undead a player can control by almost a factor of 10. 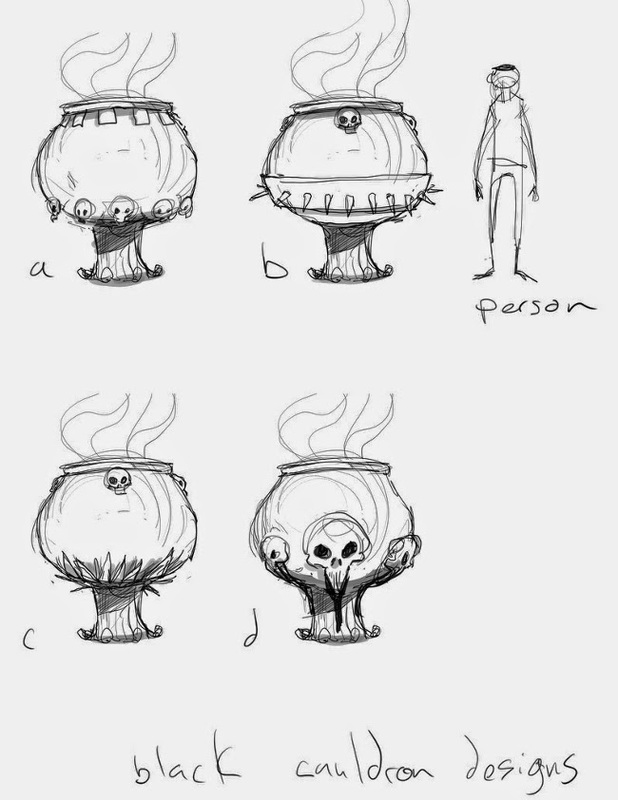 Wesley graciously agreed to sculpt us a miniature Black cauldron for the day Dwannis Muck-Mug Realizes what he has a piece of and its full potential, and he started off by having us choose from one of four concepts. We all chose concept "d". We excitedly wait to see the finished product! If you want to see more of Wesley's art check out his Blog. I looked for weeks trying to find how to raise and control an army of the undead in D&D 3.5. 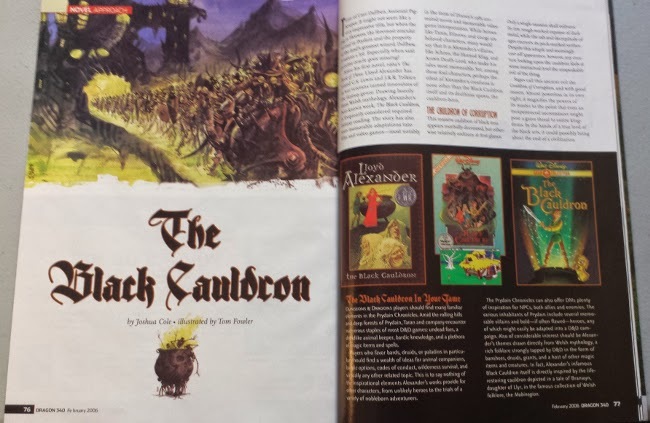 If you are interested in including the Black Cauldron in your game, you can find the rules in Dragon Magazine 340 from February 2006. I was really happy with them, and as far as I know it is the only way to control a huge army of the undead in D&D.